In the evening of January 24, Nokia announced a regrettable message: Discontinued Symbian smartphones, the 808 PureView released last year to become the swan song of this 15-year-old operating system.Symbian system was born in 1998, has just been born when the three giants of the phone industry, Ericsson, Motorola and Nokia for their support, Samsung, LG, Sony Ericsson and other manufacturers are starting to join. In 2000, the world’s first Symbian phone Ericsson R380 listed. In 2006, the world has more than 100 million Symbian phones. However, it’s good luck ends here. In 2007, the Apple iPhone has revolutionized the mobile phone industry. Android incoming, so many vendors fled Symbian, Nokia has almost become only a production of the major vendors of Symbian phones. 2011, Nokia also barely announced comprehensive shift Windows Phone, and gradually give up the Symbian brand. Yesterday, Nokia announced the shutdown of Symbian phones, three years ahead of 2016 than previously announced discontinued. What are the factors leading to the mobile phone industry, the Roman Empire, in a short span of seven years meltdown? Symbian’s defeat, defeat where is that? Compared to iOS and Android, Symbian seems now old, large and bulky. However, in 1998, was not the case. Microsoft compared to cell phones and racking their brains trying to Windows (accomplished in later Windows Mobile and Microsoft have long abandoned), Symbian students specifically for mobile devices. In fact, its predecessor EPOC “Electronic Piece of Cheese” an abbreviation meaning is “as simple as the use of electronic products like cheese”. However, in the 15 years of development, Symbian is constantly adding new features, Union manufacturers in accordance with their own ideas on the Symbian surgery. Symbian ^ 3 era, its function has been very complete; but this is the bad consequences of it complex to the heinous. 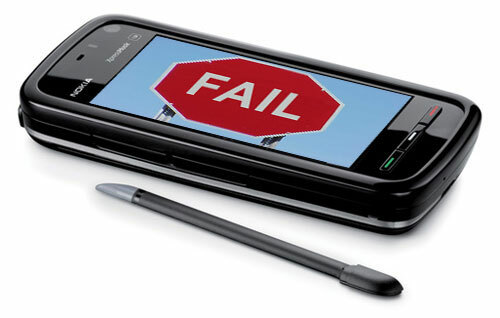 Nokia seems never to face the problem of system complexity, but also did not find a fundamental solution. It just tinkering in the original system, and this is just the problem back delay fills. After all, to give you a Charade, no matter how modified, are not be changed to a Ferrari, how to catch up with iOS, Android sports car? Today, both iOS and Android, or Windows Phone and Blackberry to catch up 10 emphasized the cultivation of the developer community, as well as the construction of the entire application ecosystem. In contrast, Symbian and its main supporter, Nokia, seems to have been to focus on software development. First Symbian phone Ericsson R380 two years after the release of many businesses and individuals to provide Java applications for Symbian, the species is also very rich, all-encompassing chat software, browser games. However, this thriving situation has not evolved into a rich ecosystem vitality, the reason is that the mobile Internet is far from forming Symbian development team also believes that, as long as the basic functions of the phone is enough, other are the icing on the cake, there can no. In this case, the Symbian application only on the PC side through a variety of forums spread players every day to exchange ideas and software, although too much trouble, they do their own entertainment. Later, Symbian in 2007 to come up with a signed certificate “system. The intention of this system is to improve mobile phone security, but soon found that the application for a certificate is too much trouble, many people give up Symbian. It greatly curb the development and promotion of Symbian applications. The developers are struggling, too to: Symbian expansion for the behemoth API (application programming interface) is also very difficult to use. Simply put, the other platforms to achieve a function, you can find the corresponding API in the Symbian platform to implement a function necessary with the use of a number of API. It was a joke, Symbian mitigate the underlying developers (the pain of the people involved in the development of Symbian), to increase the pain of the upper developers (developed on Symbian). If the development difficulty can be overcome, then the commercial prospects bleak, is to let developers disheartened. Apple’s App Store is the most successful application of the ecosystem, and behind it is a complete industrial chain such as music, video, games, books, and developing an application, developers and Apple can make money; contrast, Symbian manufacturers fighting each other in the early stage of development, to the Nokia ruled the era, there is no emphasis on interdisciplinary cooperation the profit chain out of the question. As a result, developers have diverted turned to Apple and Google. So, the Symbian platform application system is started early, also has a large number of excellent software, but it never really focus on applications and developer, nor the formation of a mature ecosystem. IPhone and Android Symbian Empire in the period of time to sit back and relax. Despite the defects of the system itself lead developer miserable application ecosystem never really take shape, but the “call phone = + texting + hanging QQ era., Symbian was able to meet most people’s needs. But Jobs with the iPhone in 2007, to tell you: the phone is not just a communication tool, it is a way of life. Nokia Initially this home was busy all day dismissive of the company selling iPod that Jobs did not understand the mobile phone, iPhone is a product can not succeed. In the heyday of the Finnish giant in the eyes of the core functions of the phone calls, all the phone functions as the core product is bullying. Until 2008, Nokia launched its first touch-screen phone 5800, using the new design of the Symbian S60 V5. It was soon found that this phone with iPhone gap is too big. Order to save costs, the 5800 uses a resistive screen instead of the more sensitive capacitive screen, the screen area is smaller, thicker body, appalling work. More critical is the 5800 system UI obvious traces with before the iPhone era, many operations do not comply with the touch screen user habits. The other hand, are still launched Symbian non-touch-screen machine, Nokia had to spend more time, maintenance increasingly bloated Symbian system, rather than considering the entire system to reinvent the wheel. Or, Nokia conformist corporate culture of Symbian, it is not possible to carry out fundamental change. According to the description of the “new Nokia”, Nokia has a 5000 R & D personnel, of which 500 belong to the top talent, often able to put forward some excellent ideas. Unfortunately, due to the tedium and complexity of the approval process, these ideas are often unable to translate into products, but competitors preemptive. In addition, Nokia obsessed with statistics and market research that the most common site page is user questionnaire. It is hoped to ascertain user needs only action. This is clearly confined to innovation and slow down the speed of research and development. This reflects the mentality of Nokia’s two: 1, everything had to go program; 2, not rabbits not spread eagle. This is a typical characteristic of the bureaucracy. Conservative way of thinking eventually ruined Symbian. In 2010, Nokia released a new design of the Symbian^3, to support capacitive screen and optimized interface; but wound iPhone and Android phones has been a flourishing days Symbian powerless. Disheartened Nokia to Microsoft eventually gestures, turned to the Windows Phone platform, Symbian become outcasts. From the point of view of the fatalistic Symbian Empire collapse of the reason, the root cause of it first abandoned the era, the era ruthlessly abandoned it. IPhone after the birth, the connotation of the phone has been greatly expanded, no longer just a phone, texting tool, but to be able to meet the multiple needs of mobile digital communications, entertainment, social networking, work center. Symbian and Nokia too much emphasis on the communication function, long-term neglect of other needs, Symbian and outdated. This is written in sooo bad English it makes me want to throw up…. although quite informative to read I confess.